This beautiful apartment in the heart of Jaffa with a mix of authentic and modern design give a luminous and spacious feeling. Up to 4 guests, this is the perfect place for a family trip or a stay with your friends! 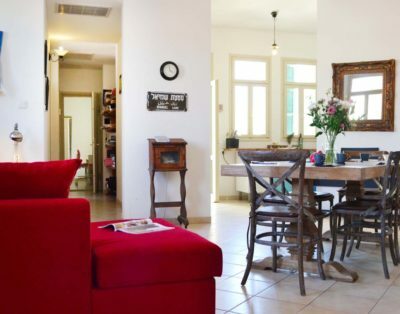 Offering a unique experience in the heart of Jaffa city, the large windows and cozy furniture made this apartment perfect to experience a great holidays. The balcony will allow you to enjoy the sunset.